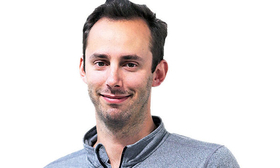 Levandowski led Uber's autonomous vehicle program until he was demoted last month. SAN FRANCISCO -- Uber Technologies threatened to fire the man at the center of its legal battle with Google affiliate Waymo, telling its top driverless technology engineer to either deny taking files from his former employer or turn them over. Uber General Counsel Salle Yoo made the demand in a May 15 letter to Anthony Levandowski, citing a court order. Yoo told him that failure to comply with the demand could result in his termination from the company, according to a court filing. The engineer formerly worked at Waymo. “If you do not agree to comply with all of the requirements set forth herein, or if you fail to comply in a material manner, then Uber will take adverse employment action against you, which may include termination of your employment,” Yoo wrote in the letter. Levandowski led Uber’s autonomous vehicle program until he was demoted last month. The Alphabet unit claims he downloaded thousands of confidential files before he left the company to launch his own self-driving startup, Otto, that was acquired by Uber for $680 million. Levandowski, who isn’t a defendant in Waymo’s lawsuit, argued in a court filing that U.S. District Judge William Alsup’s May 11 order had imposed an impossible burden on the engineer. It forces him to choose between his Constitutional rights against self-incrimination or his job and the order should be amended, his lawyer Miles Ehrlich wrote in the filing. The order "leaves little room for interpretation," Ehrlich wrote. "Anything short of firing Mr. Levandowski to get him to waive his Fifth Amendment rights and attorney-client privileges would put Uber at risk of contempt, since it would fail to measure up to the Court’s command that Uber exercise every lawful power it has over Mr. Levandowski." Uber spokeswoman Chelsea Kohler declined to comment. Waymo spokesman Johnny Luu didn’t immediately respond to an email and Ehrlich didn’t immediately return a call and an email sent after regular business hours.